History: 40 year old male with finger pain. Dislocated Proximal Interphalangeal Joint – Frontal radiograph of the hand reveals ulnar dislocation of the third proximal interphalangeal joint (yellow arrow). 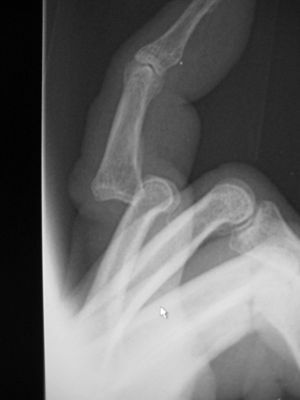 This is a case of a dislocated third proximal interphalangeal joint. 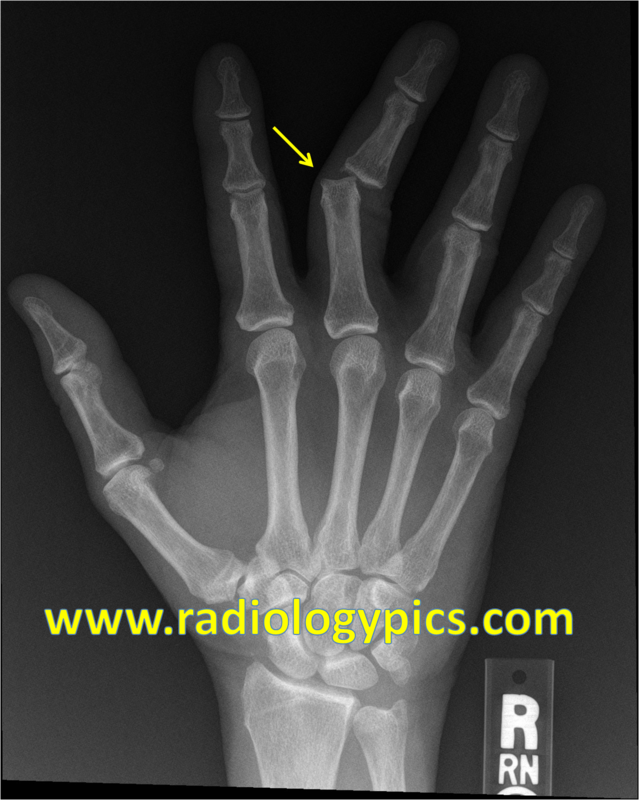 See another case of a dislocated interphalangeal joint here.